We are all familiar with the adage a picture is worth a thousand words, so when I came across this (ca. 1972) charming image of a man and woman in the window of a store in Strathcona, I wondered what thousand words would describe it? Seemed like a good opportunity to delve into a little historical research. 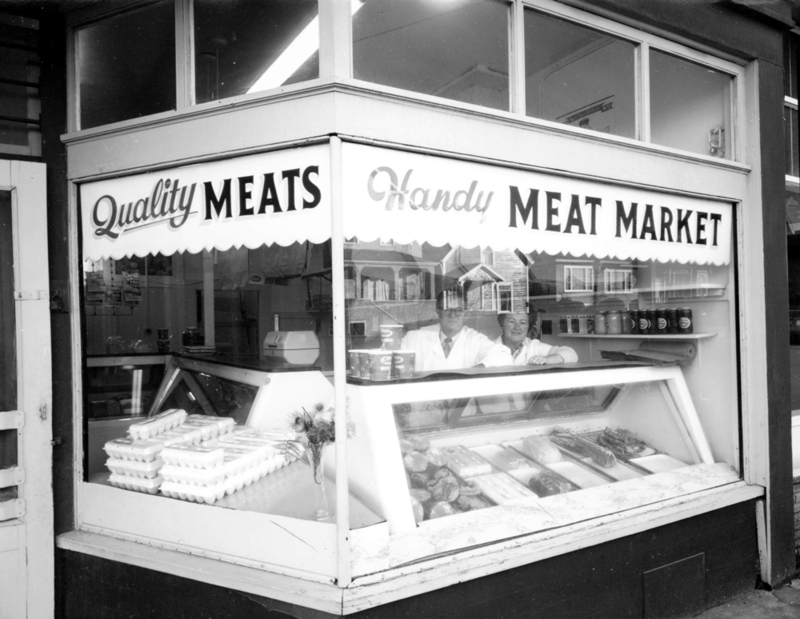 [Handy Meat Market, 894 East Georgia Street], Strathcona , ca. 1972. Photo: Art Grice , COV Archives – CVA 677-920.